The eruption of the Arab Spring and the collapse of many regimes in the Middle East found Iran in a position to advance its main strategy: exporting the revolution and taking control of centers of power in the Middle East. Iran’s entry into Syria was carried out as part of an organized master plan to take control of areas in the Middle East in which a government vacuum existed. As a consequence of this vacuum, Iran was able to expand its control centers thus becoming a rising regional power. This is the case in Yemen, in parts of Iraq and especially in Syria. Iran’s long tentacles were sent to the empty spaces left by the collapsing regimes of the Middle East. Gradually, Iran has created an effective “axis of evil”, a continental corridor linking Tehran to the Mediterranean. Under the cover of the civil war that has been ravaging the country since 2011, ISIS had taken over many parts of Syria. The subsequent collapse of its grip as a result of concentrated American–Russian efforts, allowed Iran to effectively take over territories and power centers in the country. All this was done while with the blessing and warm welcome of Bashar Assad, the Syrian President who was longing for any kind of support and assistance that would enable the continuation of his rule. Iran consolidation of power in Syria was achieved by the ‘Al-Quds Force’, which is also made up of mercenaries and a dedicated logistic network, under the command of General Qassem Suleimani. Iran established land bases and airfields in Syria, while introducing advanced weapons. Assad’s total dependence on Iran allowed it freedom of action in the collapsing country, thus transforming Syria into a protectorate threatening Israel. The buffer zone agreement signed between Russia and the US in November 2017 has even allowed Iranian forces to be within 5 km range from the Israeli border in the northern Golan Heights. Thus, within a few short years, Iran has transformed from a country distanced more than 1,500 kilometers from Israel to a country bordering the Golan Heights. 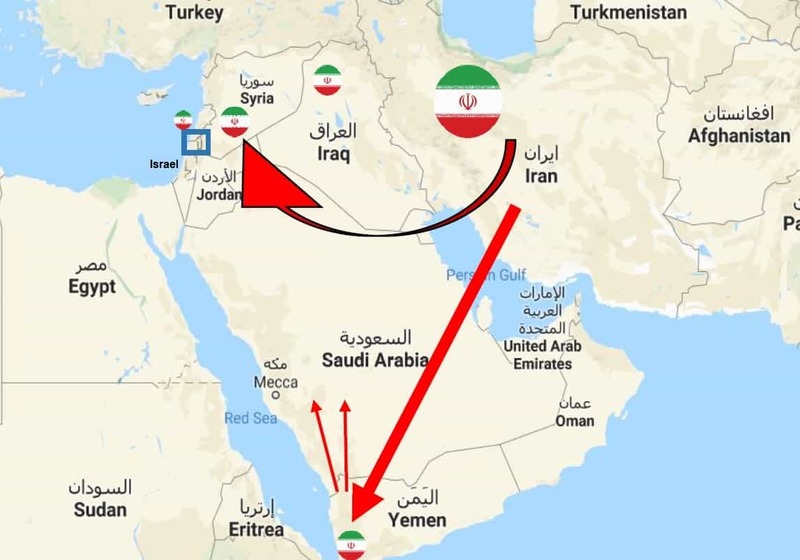 Iran’s consolidation of power in Syria, as well as its proximity to Israel’s border on the Golan Heights is characterized by imperial-world power traits, bringing Iran for the first time to a border of a Western country that does not encircle its natural borders. In practice, Israel currently constitutes the outpost of the Western world in the inevitable future confrontation with Iran, which will try to undermine Israel’s legitimacy in the Golan and drag it into limited confrontations. While Iran has clearly demonstrated its interests in the Syrian territory, Israel found itself at a disadvantage in the beginning of 2018, as an Iranian-Shi’ite spearhead was created in the Golan Heights. The Iranian threat has long ceased to be Israel’s exclusive concern. By taking control of regions and collapsing countries, by challenging Saudi Arabia, by setting up military bases in Syria and developing missiles capable of reaching Europe, and perhaps in the future even the United States, Iran is becoming a significant threat to the Western world. The Golan Heights border has gradually been transformed from Israel’s quietest border in the last 50 years to the most volatile one; from a border with Syria, it has become a de-facto border with Iran under Russian sponsorship. Compared with the period prior to the civil war in Syria, Israel’s freedom of action in the region was impaired. The establishment of Iran in Syria has brought about dramatic implications for the equation of regional balance and Israel’s security in particular. The Israeli-Syrian border, which has maintained a deterrent balance since the Yom Kippur War of 1973, changed its face. It would not be unreasonable to assume that Iran’s attempts to challenge Israel in the Golan Heights will be limited to a single incident. It is part of a comprehensive Iranian move whose purpose is to drag Israel to sporadic border conflicts, weaken its sovereign status in the Golan Heights, and perhaps in the future, when it will consolidate even more power in Syria and when the timing will be right, drag it to an extensive conflict. 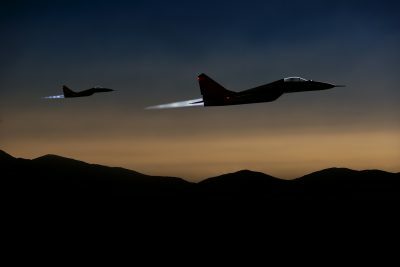 The threat of radical jihadist elements, including Iran, to the Middle East, should make any country who values peace and international stability lose sleep. An Iranian presence in Syria, especially near the Israeli border in the Golan, endangers many minorities living in the region, including Druze, Christians and Kurds. It endangers the stability of the Kingdom of Jordan and, as stated, the security of the State of Israel. For decades, various elements have tried to promote a Syrian-Israeli peace agreement in which Israel would withdraw from the Golan Heights. Today, one can only imagine what the region would look like if the Golan had been delivered to Syria. Iranian fighters and Shiite militias would have watched over Israel and Jordan from the heights of the Golan while dipping their feet in the Kinneret after killing the minorities they had crossed in their path. In the current situation, the scenario of a war between Iran and Israel is not unrealistic. Reality shows that most of the recent military confrontations that Israel has been dragged into have begun from tactical border incidents that have led to long fighting. The continued establishment of Iran in Syria and its provocation against Israel, whether directly or through its proxies, such as Hezbollah, could lead to a military confrontation. However, such a military confrontation would not be similar to Israel’s recent border conflicts on its northern border. A military confrontation between Iran and Israel could lead to wide international repercussions, beyond the conflict between the two countries themselves. The United States, which supports Israel, and Russia, which views a quiet and stable Syria as collateral for realizing strategic depth, might find themselves facing a conflict of interests and an indirect confrontation that could have repercussions for the entire world. The presence of Russia and the United States on two opposing sides could reignite an inter-bloc struggle such as the one that took place in the wake of different wars in the 1960s and 1970s. Israel’s sovereignty over the Golan serves the strategic interest of many countries in the world in general – and of the regional countries in particular – to stop Iran’s continued takeover of the Middle East. The world has a vested interest in preventing Iran from establishing itself in Syria in a way that threatens Israel and is liable to ignite a military confrontation that will involve the entire region and will have international repercussions. Continuation of the lack of recognition of Israel’s sovereignty over the Golan Heights, thereby strengthening Iran’s legitimacy to continue to challenge Israel in the Golan Heights on the pretext of “liberating occupied territories,” which is currently defined as such according to international law. The United States and the international community could stand by Israel in the struggle to curb Iran’s takeover of the region by international recognition of its sovereignty over the Golan Heights. 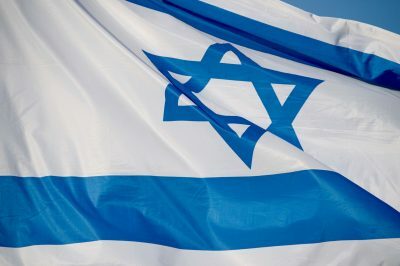 Continued Israeli sovereignty over the Golan and international recognition of it, is in the interest of all those who see fit to curb Iran’s growing influence in the Middle East and to restrain the potential conventional aggression of Iran and its proxies in the Golan Heights against Israel and Jordan. 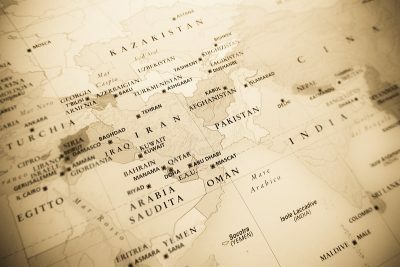 The world must act to limit Iran’s conventional aggression potential and prevent the creation of a land route between Tehran and the Mediterranean through a final international shelving of the Iran-Assad ambition to regain control of the Israeli Golan, which constitutes less than 1% of the territory of what used to be Syria. At the same time, the attempt to contain Iran’s conventional aggression potential must also concentrate on the territory of Syria itself. It appears that there is no strategic action more effective than creating a pro-Western Kurdish front in the Syrian territory. A Kurdish buildup in Syria would increase the chances of turning Syria from a hostile element active against Israel into a decentralized and relatively weak space.